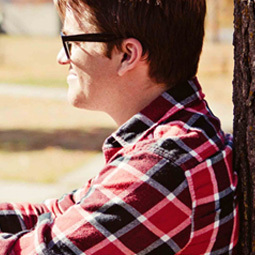 This academic program is conducted within the context of a Christian college community in which all members are encouraged to treat each other respectfully as persons made in the image of God. Oak Hills seeks to serve a broad section of qualified students who profess faith in Christ and who desire a Bible-centered education. This educational foundation is provided through programs leading to our degrees. After two decades of ministry in camping, evangelism, and church planting, the second part of their vision was realized through the development of a training facility. The purpose of this facility, known as Oak Hills Christian Training School, was to provide instruction in the Bible, Christian character, and fellowship. The first graduating class of four men and three women took place on April 8, 1949. Oak Hills Christian Training School became Oak Hills Bible Institute in 1961, Oak Hills Bible College in 1985, and Oak Hills Christian College in 1998. The name and academic criteria have changed over the years, but the original purpose of teaching and equipping men and women to be effective servants of Jesus Christ continues to guide us. Desiring to develop a camp ministry, Mr. S. Cummings soon recognized that a permanent camp property would be needed to establish such a ministry. In August 1925, the five men of the Bible Study Fellowship gathered with Mr. Cummings on a hill overlooking Lake Marquette under a prominent oak tree, known in later years as The Prayer Oak. They prayed that God would provide the land for a camp. In September, 1925, the initial 14 acres was purchased for $250. In the spring of 1926, two summer cabins for workers and a large summer building, were built. The camp was called Camp Koininia, a Greek word meaning “fellowship.” Successful camps were held in 1926 and 1927. The camp became Camp Oak Hills in 1927. The camp continued to develop on that original plot of land and more acreage was purchased or donated until there were over 160 acres owned by Oak Hills. 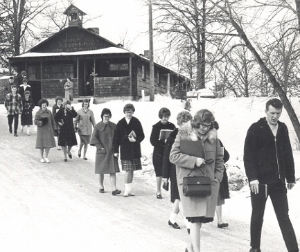 In 1962, the area on the east shore of Upper Marquette Lake was developed and the camp was relocated there as “South Camp.” In 1984, Camp Oak Hills was leased for over 20 years to Concordia College, Moorhead, MN for one of their summer language camps. Eventually, the lease with Concordia was revoked and the camp again was opened for Bible camps under Scott Buchan’s direction in 2009. Oak Hills has a very unique placement in Northern Minnesota. It is located between three Indian Reservations … White Earth, Leech Lake and the Red Lake Indian Reservations. The Center for Indian Ministries (CIM) was founded in 1987 with the desire to facilitate the formation and strengthening of local Native American churches in Northern Minnesota. CIM does this by ministering to the whole person through Godly example, evangelism, Bible teaching, discipleship, and biblical counsel. CIM has volunteer and support staff missionaries. Each of these missionaries participate in their local Native American community in different ways with the ultimate expectation of glorifying God by serving Him and bringing glory to His name. In the winter of 1928, carrying a moose hide backpack, riding the train, and using snowshoes, and skis, Oak Hills missionary Gordon Hansen trekked through the northern forests of Minnesota to plant a church in Boy River. Oak Hills eventually had regular ministries in almost fifty different communities in northern Minnesota. Boy River was the first of twenty-two churches planted and spun off as independent churches. Over the years Oak Hills has hosted pastors’ conferences and retreats, provided pulpit supply, helped with pastoral searches, and offered counseling, consulting, and training to local churches and pastors. Today Oak Hills Church Ministries continues to serve as a regional and interdenominational center serving the Body of Christ and ministering to the world.